B.S. Yeddyurappa > BSY's Photos > CM’s call to invest. 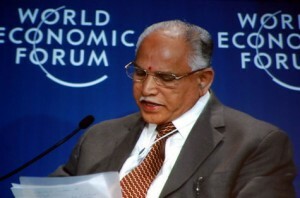 World Economic Forum in Beijing (China): CM’s call to invest. 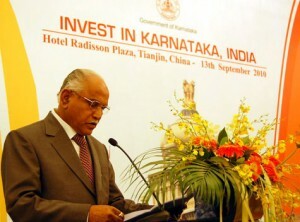 Beijing : CM Yeddyurappa, who is in China attending a World Economic Forum meeting, has appealed to international investors and executives of MNCs to invest their capital in Karnataka which has ample opportunities for the proper use of valuable capital market. He was speaking in Tianjin on Wednesday (Sept.15). There are 140 prominent industrial executives from all over the World in China to deliberate on capital matters. CM Yeddyurappa explained the various arrangements made to utilize their capital in a productive way. He convinced them that Karnataka was a progressive industrial state within India, with a peaceful atmosphere and developmental outlook. The natural resources are plenty and valuable, he added. We add value to these resources through various techniques Research also helps. There is information Technology (in which we lead the World) and Bio-Technology (in which we have made a mark) and enterprises based on pure (scientific / technical) knowledge, CM informed his gathering of listeners. 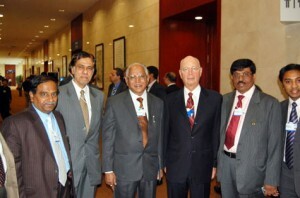 Bangalore had organised a Global Investors’ meet in June (3&4). It was quite successful attracting Rs.5 lakh crores of capital. The World leaders in Industry and investment can come forward to put their valuable money in Karnataka for general prosperity, Yeddyurappa called out to the dignitaries. 198 nations participated in the China Conference. 140 of them joined a dinner meeting arranged by Karnataka prominent industrial and business heads were present. The state delegation includes Minister Nirani and state advisers / top officials.